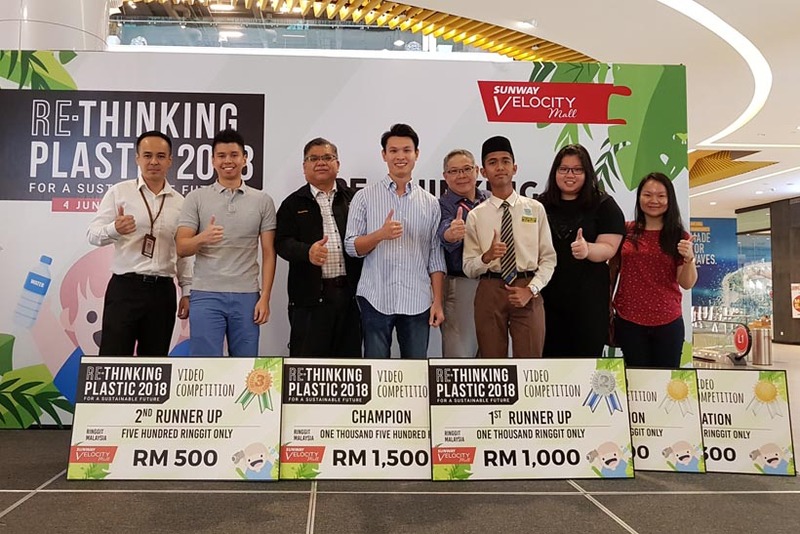 In close collaboration with Kuala Lumpur City Hall (DBKL), Sunway Velocity recently organised its environmental awareness campaign “Re-Thinking Plastic for a Sustainable Future” to raise awareness on the importance of reducing the use of plastic. The campaign also served as a platform for DBKL to educate the mall’s business partners and tenants on the mandatory conversion from regular to certified biodegradable plastic bags. The Re-Thinking Plastic 2018 Redemption programme from 4 to 8 June was the highlight of the campaign as it motivated shoppers to use the biodegradable bags in exchange for a free gift when they spend a minimum of RM20. As part of the Re-Thinking Plastic campaign, DBKL’s official partner and certified bio-degradable plastic bag vendor held an interactive and educational talk for the mall’s tenants which attracted more than 50 participants from various outlets in Sunway Velocity Mall on 7 July. On the same day, the top five winners of the Re-Thinking Plastic Online Video Contest held from 30 April to 17 June were also presented prizes for their creativity. In conjunction with the environmental initiative, shoppers at Sunway Velocity Mall were treated to green-themed performances and workshops which were conducted in partnership with WWF Malaysia and UCSI.